Each year, just when spring has sprung, it’s time the Costume Institute of the METROPOLITAN MUSEUM OF ART New York announces its upcoming fashion exhibition. 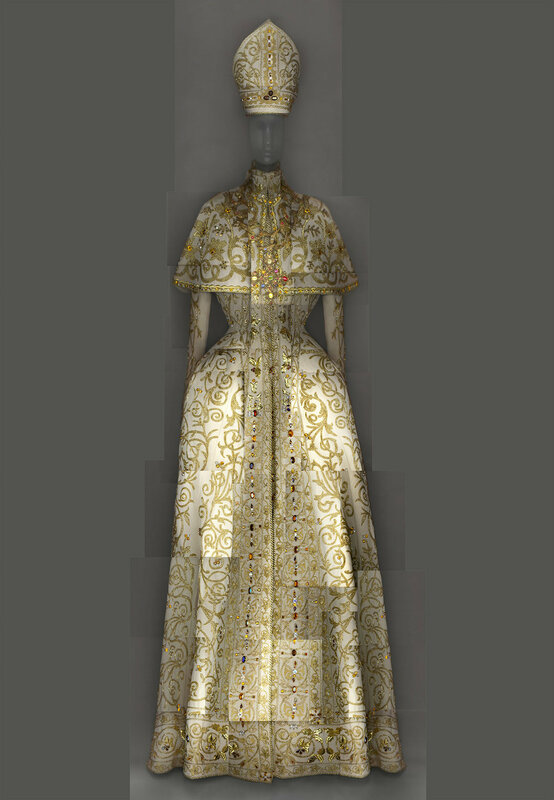 Heavenly Bodies: Fashion and the Catholic Imagination will be on display from May 10 to October 8, 2018. It’s shown at the MET on Fifth Ave, in the medieval galleries, at Mary and Michael Jaharis’ Galleries for Byzantine Art, part of the Robert Lehman Wing, and also at the Anna Wintour Costume Center as well as uptown at the Met Cloisters. As the title already promises, this exhibition is going to be an epic one. 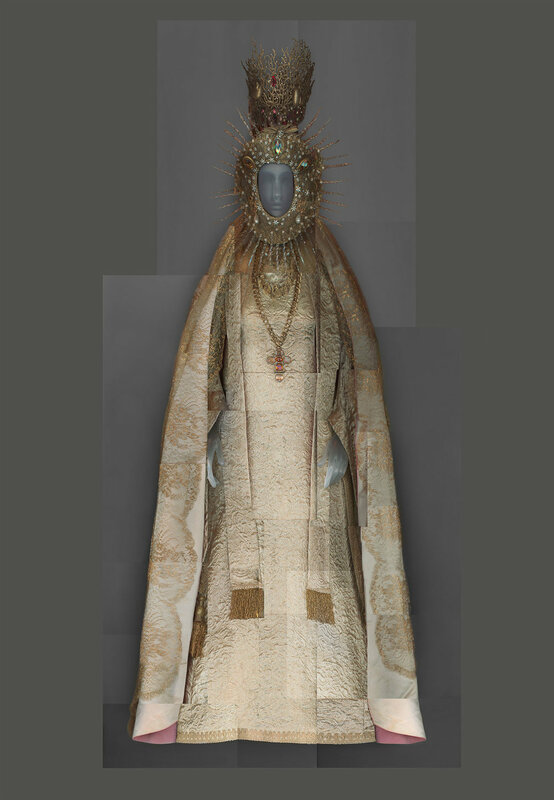 It creates a dialogue between fashion and the masterworks of medieval art, to examine fashion’s ongoing engagement with the devotional practices and traditions of Catholicism. For that, Papal robes and accessories from the Vatican have travelled to the US to serve as the cornerstone of the exhibition, highlighting the enduring influence of liturgical vestments on designers. The exhibition will feature approximately 40 ecclesiastical masterworks from the Sistine Chapel sacristy, such as papal vestments and accessories, tiaras and rings from the 18th to the early 21st century. In addition, more than 150 ensembles, primarily womenswear from the early 20th century to the present, will be shown, which is aiming to provide an interpretative context for fashion’s engagement with Catholicism. Designers included are A.F.VANDEVORST, AZZEDINE ALAÏA, MARC BOHAN of HOUSE OF DIOR, Gabrielle CHANEL, Domenico DOLCE and Stefano GABBANA, such as JEAN PAUL GAULTIER, CHRISTIAN LACROIX, RICK OWENS, Stefano Pilati for SAINT LAURENT, Donatella VERSACE, Philip TREACY and many more. In celebration of the new opening, the well known MET GALA will take place on May 7th with co-chairs taken by Amal Clooney, Rihanna, Donatella Versace and of course the legendary Anna Wintour herself. Christine and Stephen A. Schwarzman - who made this exhibition possible besides VERSACE and the additional support provided by CONDÉ NAST - will serve as Honorary Chairs.